Jeff Fell sent this to me the other day and I had to share it. On this day in 1987, The Cure released their seventh studio album, Kiss Me, Kiss Me, Kiss Me. Thanks to the singles “Why Can’t I Be You?,” “Catch,” and “Just Like Heaven,” it would be the band’s first album to crack the US Billboard Top 40. Kiss Me, Kiss Me, Kiss Me was re-released in on CD in August 2006. 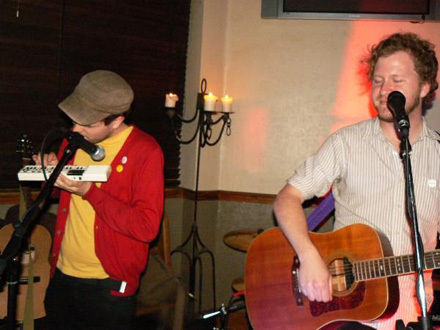 The new disc featured “Hey You!” a song which had been omitted from previous CD issues, and was only available on the cassette and vinyl versions of the album. Today we have Breathe by The Cure. 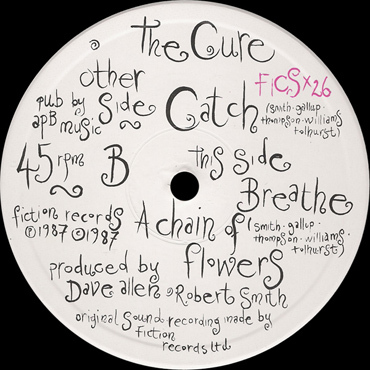 The song appeared on the b-side of the Catch 12″ single. On this day in 1987, R.E.M. 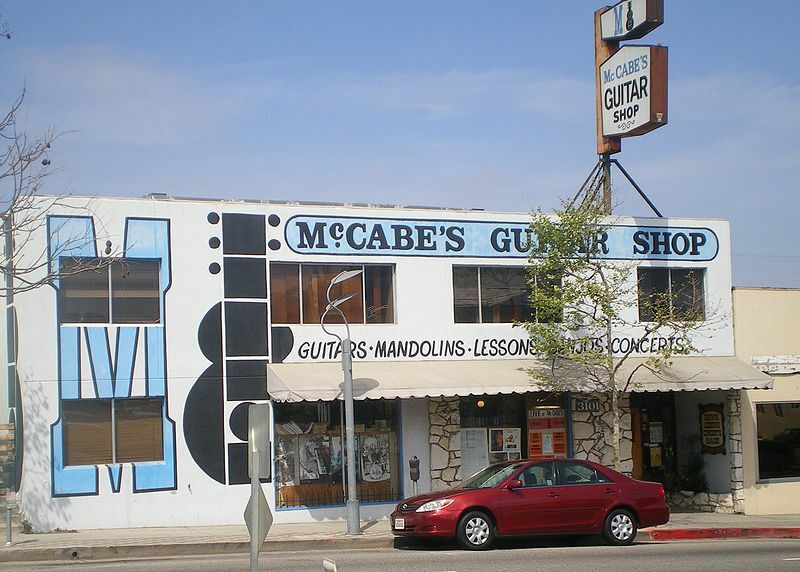 played two consecutive acoustic sets at McCabe’s Guitar Shop in Santa Monica, CA. “This One Goes Out” was one of four unreleased songs performed by just Michael Stipe and Peter Buck at the first show. Stipe enjoyed the recording so much, he kept a cassette copy of it and insisted that it be used as a b-side. “This One Goes Out” eventually appeared on the b-side of the “It’s The End Of The World As We Know It (And I Feel Fine)” 12″. Today we have the live version of This One Goes Out performed at McCabe’s Guitar Shop. 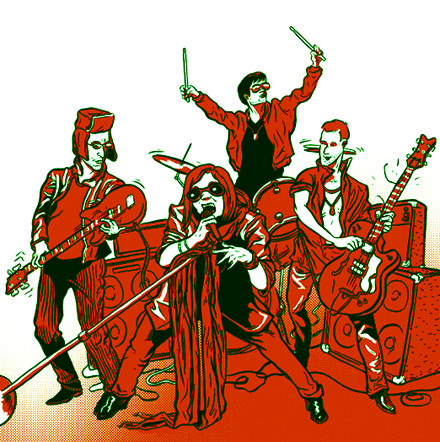 As part of the NYC Popfest, Gold-Bears, Moustache of Insanity, and One Happy Island are playing a free show at Spike Hill (184 & 186 Bedford Ave. Brooklyn) today. Today we have Postcards To Strangers by Moustache of Insanity. 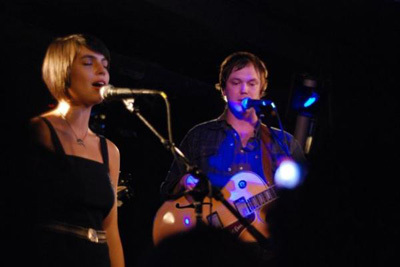 If you live in New York The Smittens, Tender Trap and Allo Darlin’ are playing at Don Hill’s tonight. If you live in Seattle Tim McGraw and Lady Antebellum are playing at Key Arena. And If you happen to live in Richmond, Virginia The Vignettes and Hot Lava are playing a house show. Today we have the song O Retorno Da Lovefoxxx by Hot Lava. Have a great Friday!